Did you see this month's Challenge? 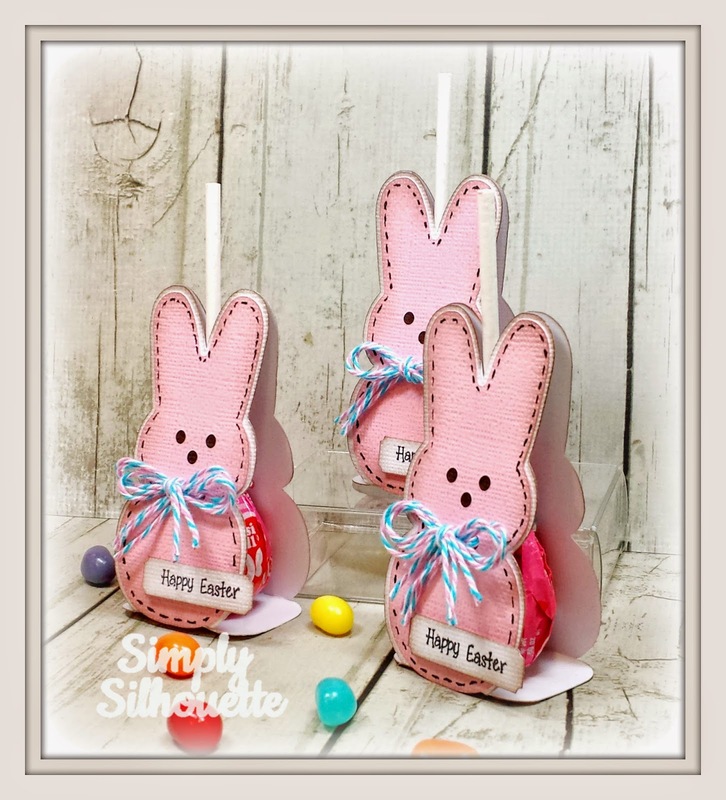 It's called "Spring has Sprung"
Don't you just love these Bunny Lollipop Holders? I'm going to give it away for free today. Hope you enjoyed this cute little bunny~! 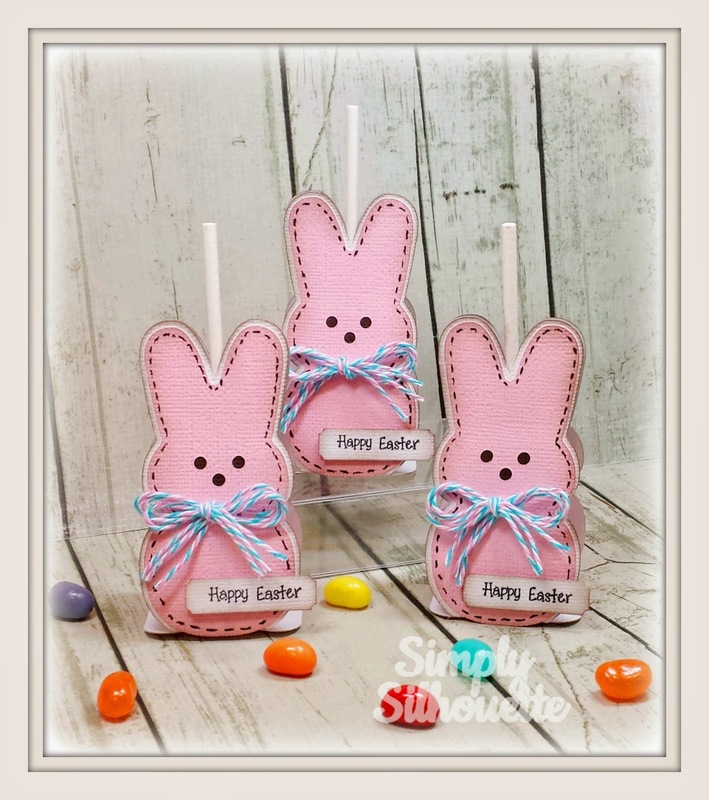 These bunnies are adorable, and they are done in my favorite color--pink! :) Thanks for sharing the file with us. SO VERY CUTE! Thankyou so much! I can't seem to get your e-mail address to work? Help! Thankyou! Awww....your little bunny lollipop holders are just irresistible! Thank you so much for sharing the file...can't wait to give them a try! Too darn cute!!! Love them! Julie, this is a super cute project. Thank you for the Bunny Lollipop holder. I will be making a few of these for my boys to take to school! 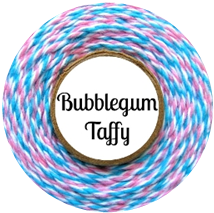 so cute.....pretty bubblegum taffy twine also. Julie, you put in your web address instead of your email address. I was looking for your email address somewhere else on your blog but could not find it. I'll wait to see if the blog is changed later today to reflect the email. OMG! Thank you for catching that web vs email address Melissa :) It's all changed and ready to go now. My apologies! I simply LOVE this lollipop holder!! What a thoughtful gesture to offer it to your readers for free!! THANK YOU!! Thanks so much for such a cute file! Have some great nieces and nephews that would enjoy! What an adorable lollipop holder my grand children would love these. Thanks for offering the file! So so cute! I am already a follower. You are so sweet to share this file with all of us. Thank you so much. Very cute. Thanks for the file. Very cute! You have such talent. Thanks for the opportunity to share these. These are so super ADORABLE Julie!!! LOVE them!!!! Super cute bunnies! I love this idea for Easter treats for the little kiddos! I love peeps and this is so cute! Your bunnies are so cute. Thank you for offering this file. Too, too cute. Thank you for sharing ! These are adorable. Thank you for sharing your file. Thanks for sharing the file! You are AWESOME!! These are so cute & I love the twine! Thanks for the file. Such a cute little treat holder ... love it! Thanks for sharing it with us! These are so cute & I love the twine. Thanks for the file. Oh my goodness, this is sooo cute!! thanks for the file. I love these little bunnies and sucker holders are a perfect Easter gift. Thanks for sharing. These are adorable and remind me of the bunny peeps. These are just the sweetest bunnies. You are so creative! Thank you for the inspiration. I love these cute bunnies! Thanks for the file! You are wonderful and truly talented! Thank you for showing us your cute bunny lollipop holder ! Super Cute!!!! Peeps are my fav Easter candy. Would love to make these for the grandkiddos.. Very Cute! A must have! OMG! These are the cutest! Already a follower, but I'm off to email you now! Thank you! Oh my goodness!!! How friggin cuute!!! Would love this file😘 lol. Those are so adorable. Can't wait to play with the file. TFS!!! I love the pink and blue twine. Thanks for sharing. Oh Julie, you did it again, super cute as usual! This is so very cute. I love the pink you used and faces. Great job!! How could these be any cuter! What a fun idea for a treat!! So cute! Thank you so much for being willing to share! So adorable. Thanks so very much!!! Just found your blog and I love the wonderful stuff you create!!! These Bunny Lollipop Holders are super cute. I LOVE your work! Thanks for sharing the file. It's is so adorable! WOuld love the file. Wow, those look amazing! 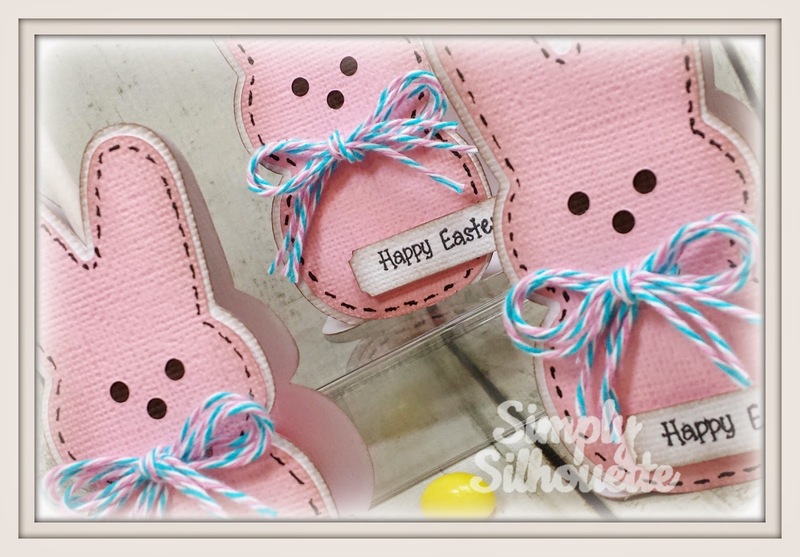 I love the cute peep lollipop holders, the stitching looks great and the twine accent is perfect! I love these, what a great idea. Thanks for the free file. These are so cute! Thanks for the cut file! Perfect for a class treat!!!! Love! Thanks for sharing! Oh how adorable! I would love this file! I follow and will email you!! THANK YOU! Perfect for grandchildren. Thanks for sharing. Adorable!! Thanks for sharing!! I was just attempting to make one & thought someone has got to have done this already :) And you popped up on Facebook!! Thanks again!! And of course I already follow you - love your blog!! Too stinkin cute!! Your the best, thank you for sharing. You know I aready stalk you...lol i mean follow you! Very Cute File. Thanks for sharing. I love these too cute! these came out so super CUTE!!! Very cute project! Love them! These are so adorable, love them!! These are so super cute, Julie. Fantastic job! You need to open a store and sell fun candy treats. You are so super creative. I've so enjoyed having you on the DT. Just found your blog. I'm always doing favors for our Women's group and this one would be great. Thanks for sharing your ideas. love these....want to make these for Easter dinner table!!! Do you still have this file?